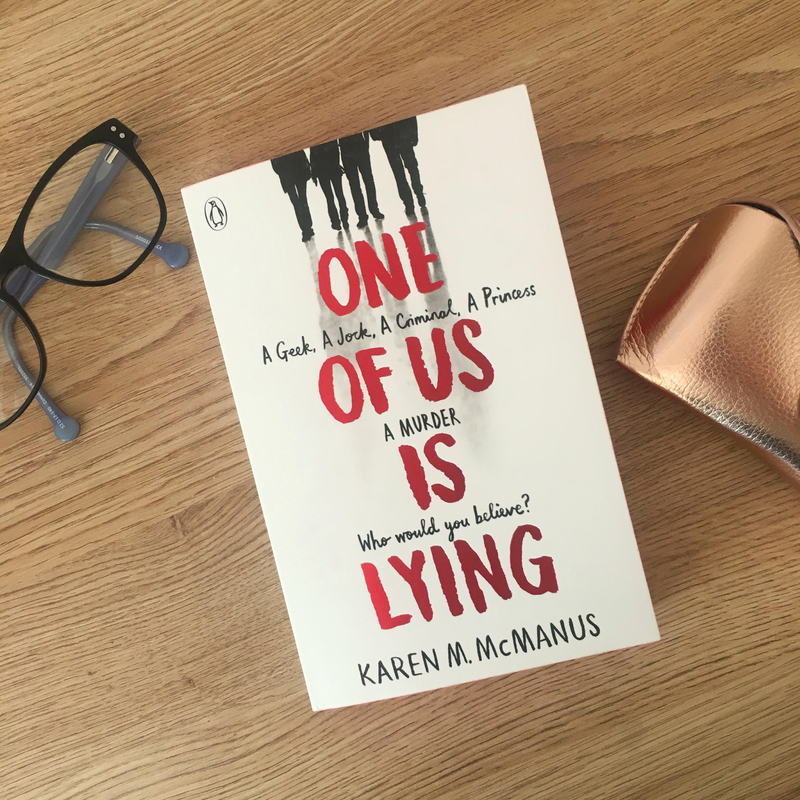 One Of Us Is Lying is about the death of Simon Kelleher, a high school student, the investigation in to finding out what happened to him and how Cooper Clay, Nate Macauley, Adelaide Prentiss and Bronwyn Rojas fit into it all. The book is a mixture of The Breakfast Club, Gossip Girl and Pretty Little Liars. The main characters are all so different and appear to fit into the stereotypes of a jock, a criminal, a princess and a brain. However, due to them being investigated for murder they realise that they are actually good friends. 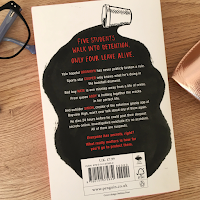 Throughout the book (and even from the question on the front cover) we make assumptions and guesses as to who killed Simon which adds to the theme of stereotypes because it is someone we might not have thought of solely because of who they appear to be. I love that the main characters break from the stereotypes that everyone thinks they are. Cooper is a baseball player who turned out to be gay. Bronwyn is a goody- two shoes who did whatever she could to help her friends, even something as shocking to her as breaking the rules. Nate is a drug dealing bad boy who was actually innocent. Adelaide is a pushover, popular girl who ended up solving the crime of who killed Simon. There are also other mature themes in the book such as depression, suicide, bullying and homophobia. 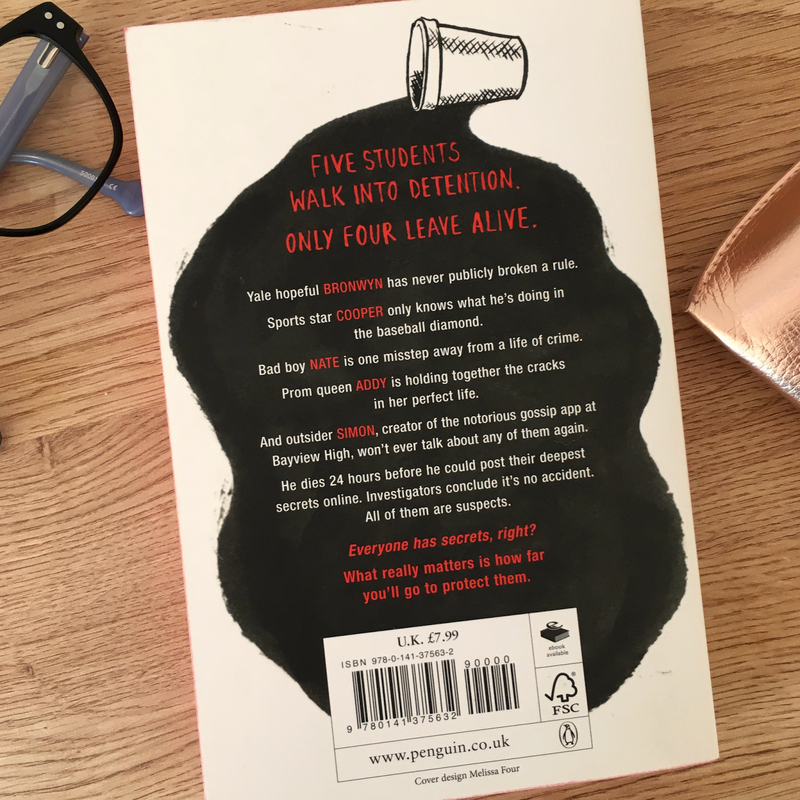 But the author also explores the friendship between Nate, Cooper, Bronwyn and Adelaide who form an unlikely but lasting bond after being forced together by the events that take place. I feel like the ending of the book was hinted at throughout but the motives of the people involved in Simon's death was still a shock. 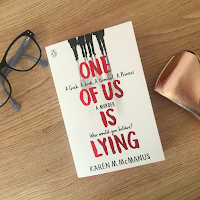 So those were my thoughts on 'One Of Us Is Lying' by Karen M. McManus. The book is currently on offer for £5.49 in Waterstones but you can get it from WH Smith and Amazon as well. Have you read this book? What did you think of it? Let me know in the comments.